I wasn’t familiar with Burmese food until I moved to Minnesota and have a Burmese friend. 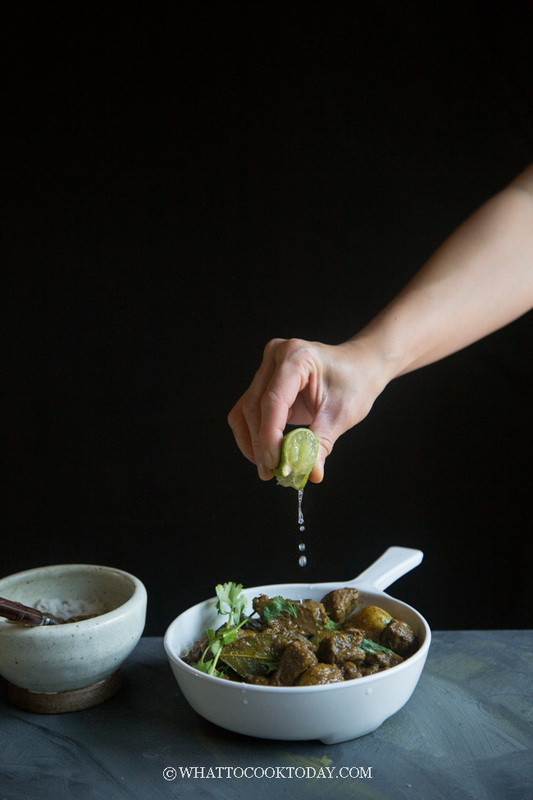 In fact, that’s how I got to know this Burmese beef potato curry. 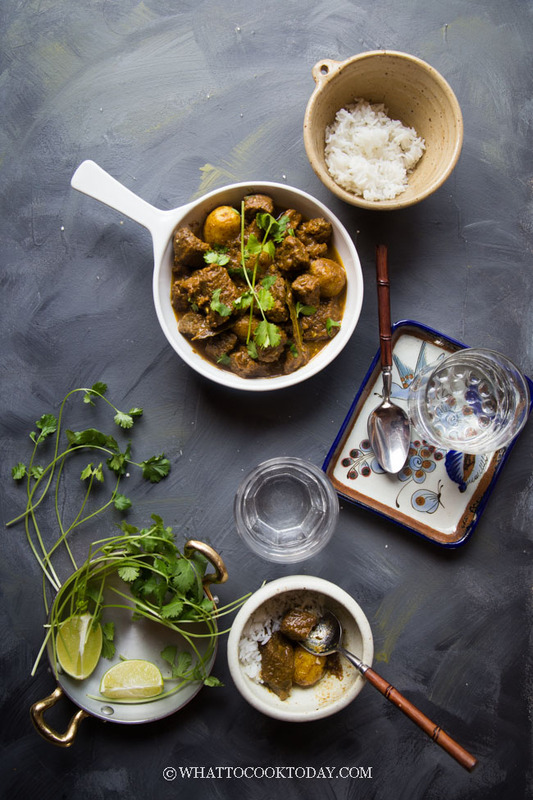 The first time I tasted it, it really reminds me of the Indonesian beef rendang. It has that similarity in taste, though not exactly the same. 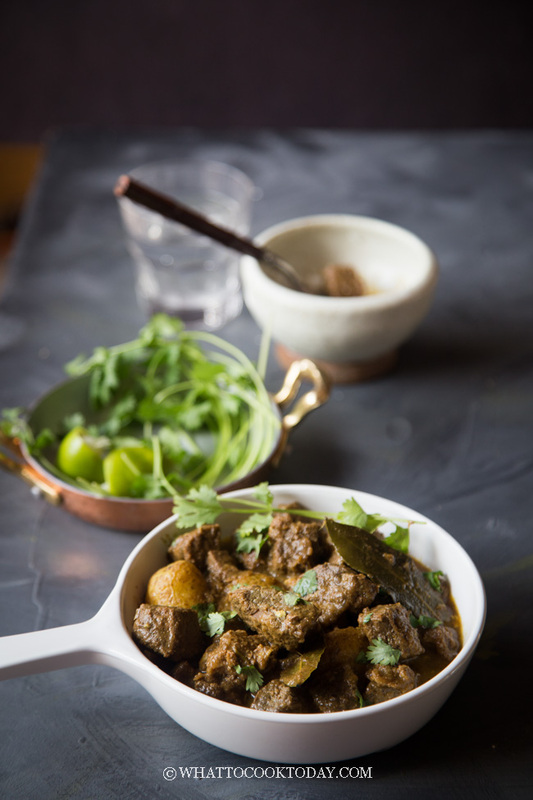 Burmese beef curry has that Indian influence in terms of spices. Indonesian food is a bit “fussier” to make, I have to admit, compare to Burmese food. 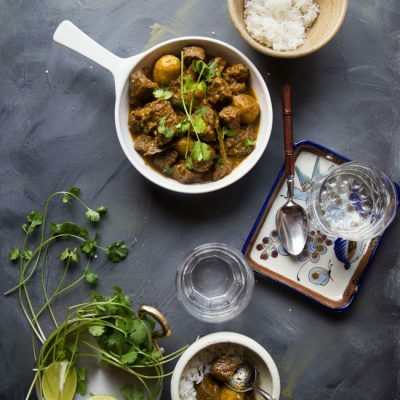 Beef rendang calls for a long list of spices and herbs. 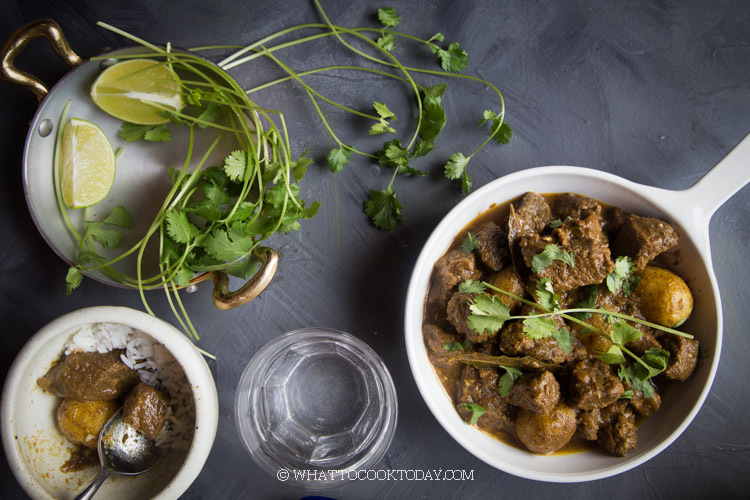 This Burmese beef curry is the opposite. Only calls for several spices that are mostly available in powder form. This post contains affiliate links, which support this site at no extra cost to you. Learn more. 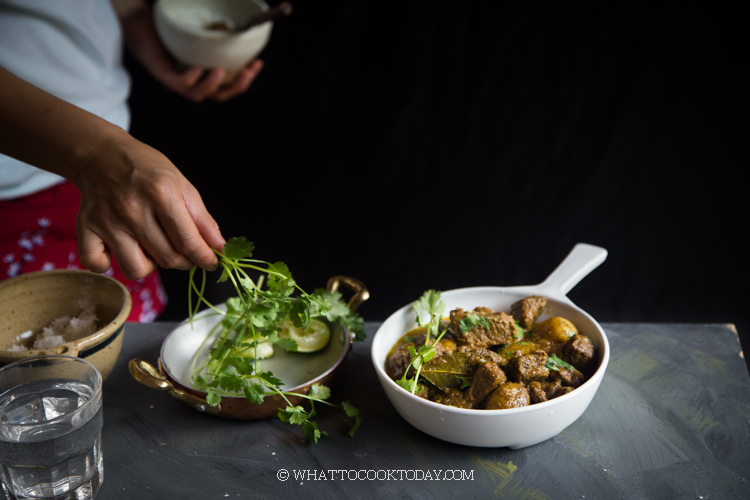 Pressure cooker simple Burmese beef potato curry is really so simple. 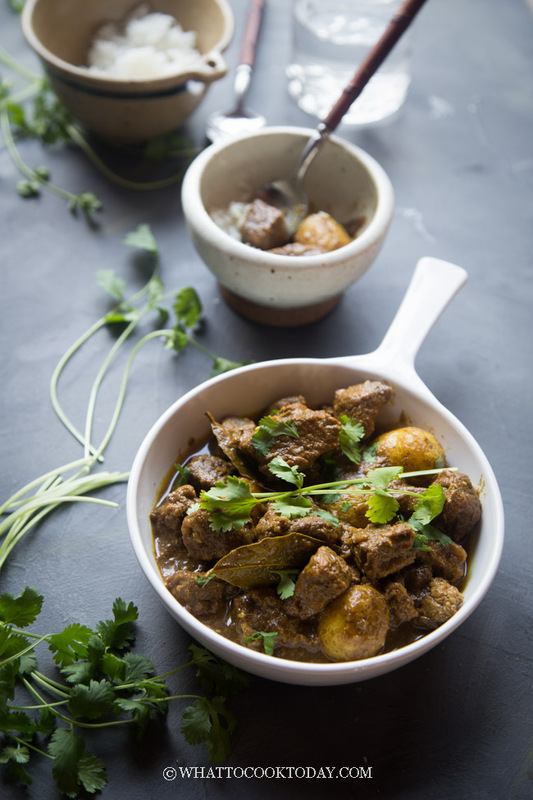 Made with few aromatic spices and herbs and you have yourself a super delicious beef curry.